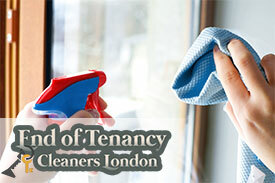 We provide our professional end of tenancy cleaning services in Hendon, London to many estate agents and tenants. Our cleaners are very experienced and specialize in domestic cleaning. Our cleaners are professionally trained and use advanced cleaning methods and detergents. 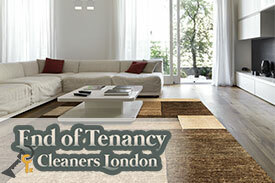 Landlords, letting agents or tenants can book our guaranteed cleaning solution in Hendon, London. We aim to provide top quality cleaning service as the inventory companies and estate agents need high standards for their property. I know that end of tenancy cleaning is not cheap. But better pay someone what will get the job done is what I always say. Thank you all for doing this by the way. Be sure that I will recommend you to anyone I know. Once you call us we will visit your place and have a look at it before starting the work. For a two bedroom flat we generally send 2 to 3 cleaners and they complete the work in 3 to 5 hours. You can mention your queries to our cleaners or make any special request that you may have. In our professional End of Tenancy cleaning we have included picking and dropping of keys. Our rates are competitively charged and we assure excellent customer services. Whole surface will be polished and washed. Cupboards are cleaned internally as well as externally. Cutlery and crockery utensils will be stacked neatly. Properly polishing and cleaning sink taps. Polishing the wall tiles as well as degreasing it. Cleaning the internal and external parts of the oven. Making the extractor fan clean and Grime free. Making the refrigerator grime free and removing the food deposits. Washing the exterior of the washing machine and cleaning filters. Using germicidal solutions to clean the doors and fittings. Entire woodwork in the bathroom will be cleaned with the germicidal solutions. Radiator and pipe work is also cleaned with these solutions. Tiles are polished and degreased. Basins, bath area, and other fittings descaled and washed. Whole shower area will be descaled and polished. Bidet will be descaled and cleaned. Germicidal solutions are used for scrubbing floors. Lightings and fixtures are cleaned. Washing down internal framework of windows. Urinal areas, fountains and basins will be cleaned. Mirrors, fittings, and taps to be cleaned and then polished. Pipe work cleaned with good germicidal solutions. Properly damp wiping fittings, doors, and hinges. Vacuuming the carpeted areas of the bedroom. Damp wiping and dusting window ledges. The doors, fittings and jambs will be dusted. Removing spots from the walls in the bedroom. Cleaning the furniture and surface in the bedroom. Cobwebs will be removed from the bedroom if found.